9mobile is at it with a new social plan to keep you hooked up friends and family across social media platforms. 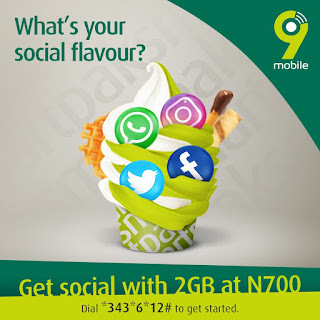 The 9mobile new SocialPak plan enable subscribers get 2GB worth of data for N700 only. The 9mobile SocialPak is a smatpaks package uniquely crafted for social apps & platforms. perfect for access to social platforms. It is not meant for browsing, streaming or downloading. It is a social plan that is only usable on Facebook, Instagram, WhatsApp, Twitter, Eskimi, Wechat and Kakoa Talk. 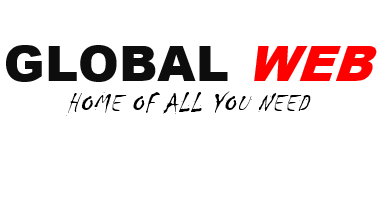 this offer maybe very good for those who usually spent much time on social platforms. Especially those whom have at least more than 70% of their data subscription spent on social networks. According to 9mobile, the 2GB data is valid for 7 days and every 9mobile customer is eligible. Dial *343*5*0# in other to deactivate auto renewal.